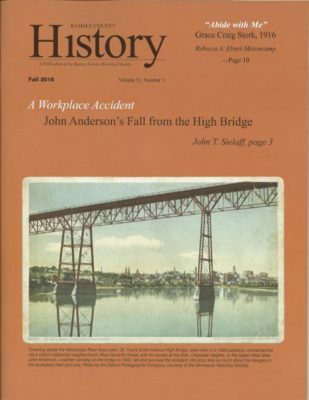 The Fall 2016 issue of Ramsey County History magazine is now released. Ramsey County History is a benefit of membership in RCHS. Current and back issues are available in the Research Center. Some are also available for purchase. Please contact us for information on purchasing the current issue or back issues. Current issues are $10.00 each, which includes tax and shipping via U.S. Mail in the contiguous United States.